‘I’m not exotic - I’m exhausted’. 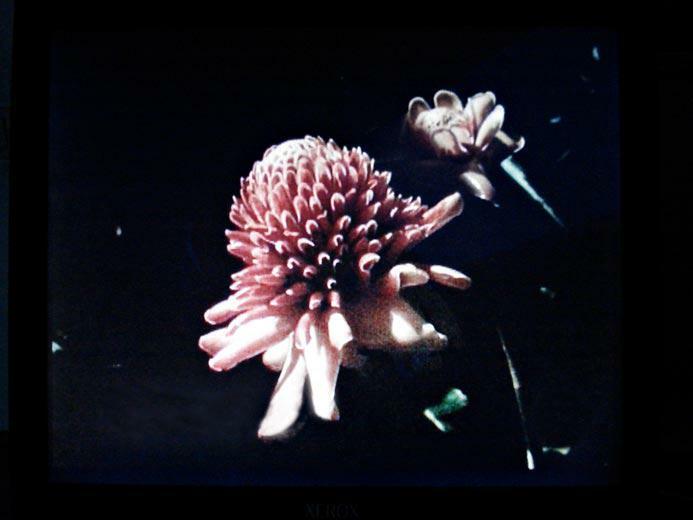 That was Yto Barrada’s response in a 2011 interview with Negar Azimi to the question, ‘What is your work without Tangier’’ It’s a good line, and useful when positioning Barrada in relation to her city, the latent tensions at the forefront of her work and what it means to make ‘documentary’ images. 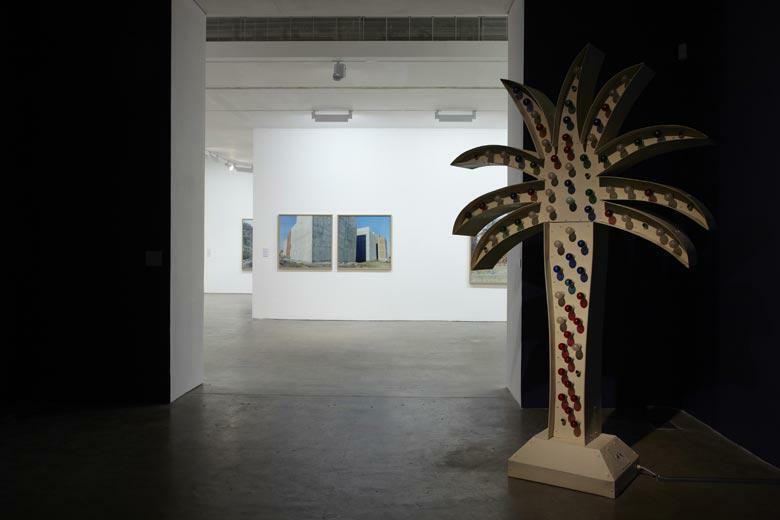 RIFFS is a touring solo exhibition awarded to Barrada as the recipient of the Deutsche Bank 2011 ‘Artist of the Year’ prize. 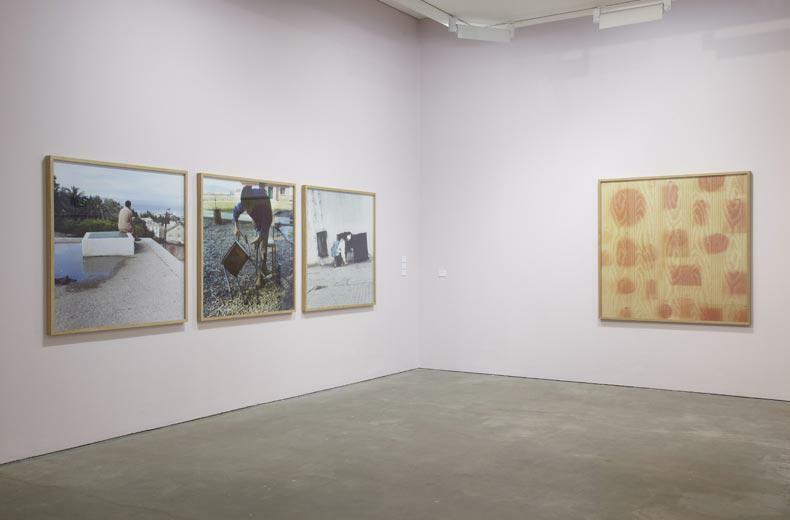 RIFFS first opened at the Deutsche Guggenheim, Berlin, and the smaller presentation at Ikon Gallery overlaps with the Berlin show, with a strong focus here on Barrada’s large-format photographic works. The photographs span the past decade and offer multiple perspectives of Tangier, the city that Paris-born Barrada grew up in and permanently relocated to in 1998 following studies in Paris and at the International Center of Photography in New York. It was with this return that the city became the major subject in her work, firstly in the series, ‘A Life Full of Holes: The Strait Project’ (1998’2004), which looked at the dynamics of a place in which a number of the population are trying to leave yet can’t due to travel restrictions. More recently in the series ‘Iris Tingitana’ (2007’), Barrada has brought under examination the changing landscape of Tangier and the effects of a tourism boom gone bust. Across Ikon’s first-floor gallery the selection of square, framed photographs move between allegorical scenes of pubescent boys engaged in the act of looking, close crops of patinated surfaces (whether a sun-bleached wooden wall or the ravaged skin of a dolphin washed to shore), and abandoned or ruined architectural projects. In ‘Briques (Bricks)’ (2003/2011), a dozen housing developments are scattered across a rolling hill, each in different stages of completion: one lacks a roof, another is a skeletal frame composed of pillars and crossbeams; in the foreground the nearest plot is nothing more than a haphazard dump of new bricks, a mass of orange-red. Throughout the middle-distance there are recurring piles of such materials, presumably reneged on by bankrupt investors. It’s the image of Tangier-as-toy town, a set used for a Godzilla disaster scene such is the perfection of the stopped construction and the scale of, and space between, builds. There is no scaffolding, no vehicles and no sign of life. 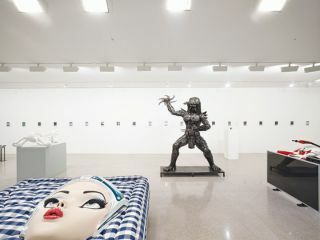 It is this absence that also marks the images ‘Smir Park’ (2009/2010) and ‘Restaurant, Villa Harris, fig. 1’ (2010), both showing leisure facilities - a swimming pool waterslide and a hotel restaurant - in states of classical ruin, replete with overgrown flora and collapsing construction. These are familiar images; aside from historical referents they could recall numerous projects from Greece or Spain, similarly halted by the 2008 financial meltdown. 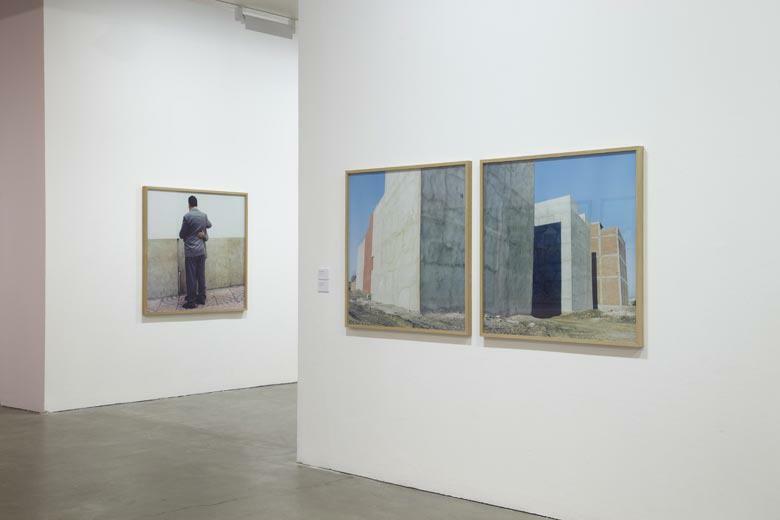 The narrative of Barrada’s ruins, however, is extended through their accompanying images: in ‘Mur des paresseux (Lazy Wall)’ (2001/2010), a teen boy, his back to camera, looks from a rooftop across the Strait to Europe, as if in silent lament. Such moments signal the tensions of transfer and limited mobility that exist in the city, and further complicate the types of exchange that exist in the failed building sites. 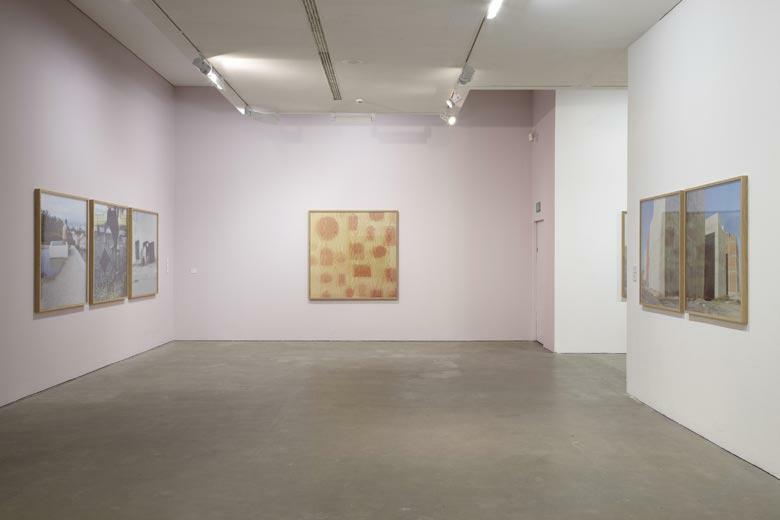 Barrada presents a Tangier that is hard, resolutely ‘un-exotic’, and, without reverting to dramatic events or imagery, shows how horrifically scarred its landscape has been. A counterpoint to this trajectory comes in the film ‘Beau Geste’ (2009). The document of an action organised by Barrada, it is a micro-fable of resistance, of the local versus the landowner and the spirit of the oppressed. The title translates to ‘good gesture’ though contains a significantly helpless or unlikely dimension. This film, and 2011’s ‘Hand-Me-Downs’ (also shown at Ikon), feature narrative voiceovers by Barrada that play on pedagogy and reveal a more subversive, disruptive edge not played out in the photographs. Similarly arresting is a series of 28 A2 posters pasted to the corridor wall outside the main gallery. 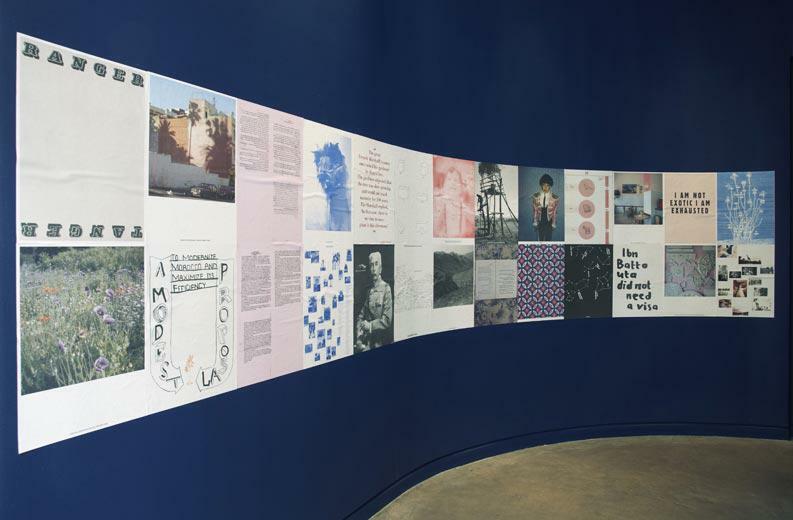 Collectively forming the work ‘A Modest Proposal’ (2010), the prints vary from a Swiftian satire on how to ‘modernize Morocco and mazimize its resources and efficiency’, to polemics tackling Moroccan history and culture in ways equally critical and elusive. Each poster was originally shown individually at the entrance to the Cinema Rif in Tangier, where Barrada is the founding director of and, since 2007, has programmed the Cinémathèque de Tanger, an organisation whose intention is to ‘develop film culture in Morocco’. 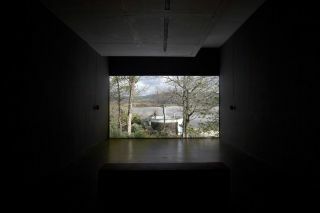 For the Ikon tour of RIFFS the Cinémathèque was represented over six days by a film programme shown on the gallery’s off-site canal boat project. 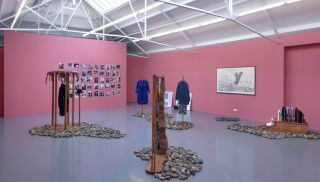 This was an intimate, even charming setting for the films, though perhaps if the programme were relocated to the gallery space it would have carried the energy of this expanded activity and offered a fuller picture of Barrada’s diverse praxis. 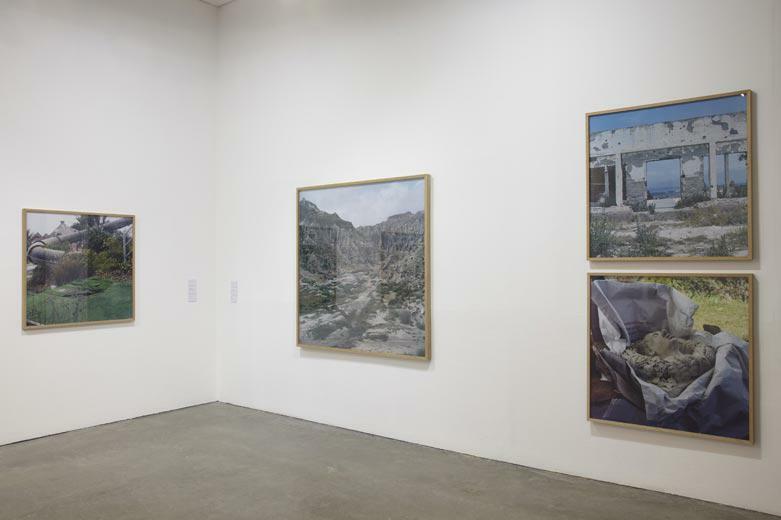 It is her multiple uses of art as a tool to add to and complicate the culture of a place, and her engagement in Tangier, that makes her output so compelling; in this context its also easier to make the distinction through her work between the acts of ‘taking photographs’ and ‘using photography’. It’s the latter that leads to exhaustion.